We had a huge number of highlights, so let’s dive right in! Winds were steady (for a change) about 6-8 knots from the SE, slowing and shifting from the S as the night went on. At the suggestion of one of the racers, we experimented with a modified course (with a downwind finish). Feedback on the course was positive, and it was a heck of a lot easier for the RC to set, so watch for a amendment to the SIs coming soon which will formalize the new course as KSC standard. Lots of Lasers out, with a couple of Tasars, a cat, and only one Albacore. People were still getting their bearings on the new course, and most people elected to do the safe thing — follow whatever boat Steve’s in. Steve/Devin (Tasar) led the pack throughout the race, with the only real challenger being Ken S (Laser). 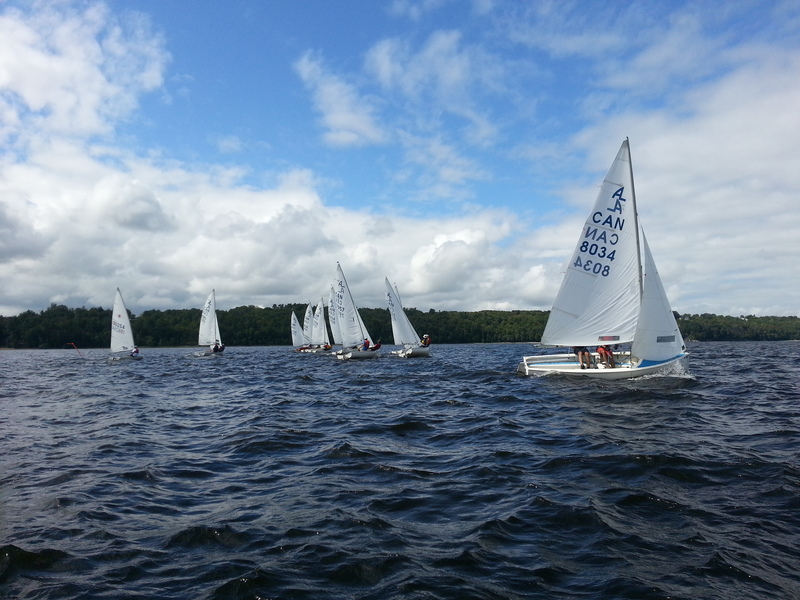 Jean/Carla (Tasar) took 3rd, Annie/Tony (Hobie 18) 4th, Chunshu (Laser) 5th, Tom N (Laser) 6th, and just-graduated LTS students Dan/Joanne (Albacore) in 7th. Mike R (Laser) didn’t make the start line in time, and ended with a DNS 9 points. Wow, this was one to write home about. First of all, everyone had their “safe” tour around the course, so they decided to be aggressive. Maybe a little too aggressive. Ken tried pushing Jean/Carla up above the committee boat before the race, and this encouraged the Tasar to really nail the start. 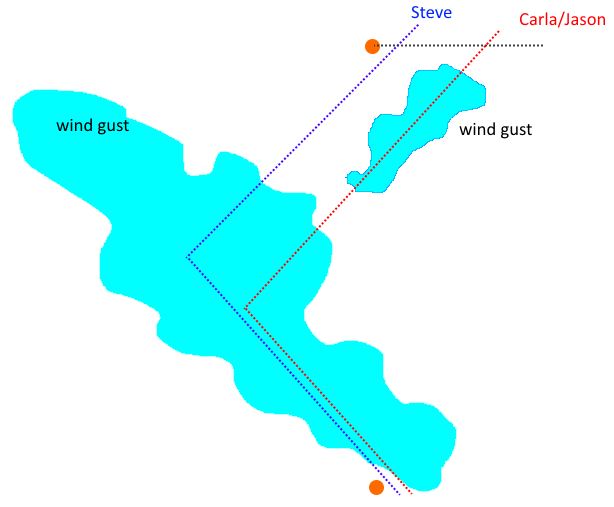 While running along the start line, the edge of Jean/Carla’s boat was across by about 6-8″ and once the start sound went, it was followed by the individual-recall flag. Jean/Carla couldn’t believe it, but turned back and restarted anyway (behind the rest of the fleet). Methinks they were not happy about it. Jean/Carla (with nobody around them) apparently hit the gybe mark in the meantime, and their 360 cost them even more time. Devin/Steve won the race (of course), followed by the Tony/Annie cat (2nd), Chunshu (3rd, his best placement to date), Ken (4th), Mike (5th), Tom (6th). Carla/Jean managed to pass the Albacore to claim 7th, while Joanne/Dan finished 8th. It was after the 3rd race had started that the RC noticed “hey, our gybe mark is gone”. 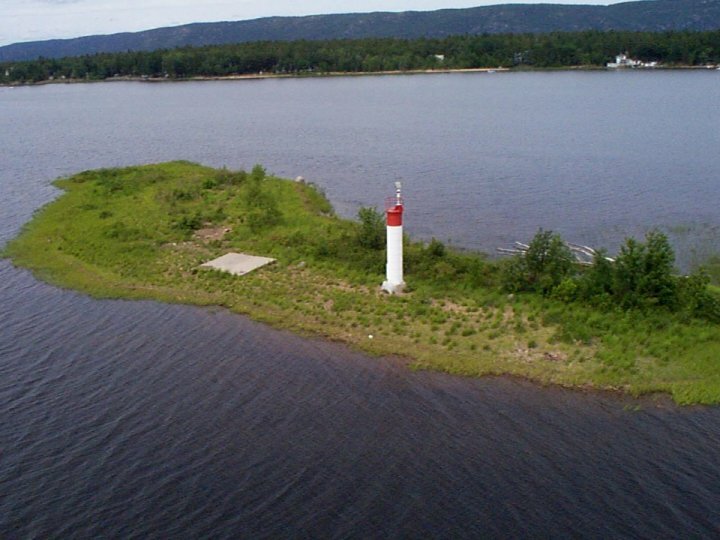 Way off in the distance, toward Aylmer island and almost in line with the windward mark, the “gybe” mark was drifting down river. By the time the RC got there, the first boats had already reached the leg, the the RC had no choice but to let the sailors run the course as is (essentially, a windward/leeward course). Whatever, it was all in good fun. The wind petered off on the downwind (down to maybe 4 knots), and the race took a while to actually finish, without too much drama or events (at least none that I saw, but I was focused on retrieving the mark). Steve/Devin got the bullet (AGAIN) with Tony/Annie getting 2nd. Considering the cat’s (shall we say) “disappointing” placements last season, Annie and Tony have really upped their game this year. Ken claimed 3rd, followed by Chunshu (4th), Jean/Carla (5th), Tom (6th) and Mike (7th). Dan/Joanne had to retire due to a previous commitment, but their boat was subsequently claimed for an after-racing sail by Rebecca and Mark. Many thanks to Carla for bringing the food/beer, and for Heidi for helping RC. Frank (not sailing due to a cold) BBQ’d up some mighty fine burgers, and we all enjoyed a beautiful night. Uncharacteristically, the wind picked up as the sun was going down (up to 10 knots, maybe), so those who elected to stay on the water (Mike, Mark, Rebecca) had some good fun blasting along. Season score wise, Carla doubles her lead over Jason! Last week she was ahead by 1 point, this week she’s ahead by 2 (28 to 30). But look out, both of you… Tony’s coming on strong after a pair of 2nd place finishes, and Steve’s 15-point DNC races are quickly being replaced by wins. Tom, Chunshu, Jean and Annie are getting in the mix, and adding Ken to the roster of regulars will make it that much harder to get those 2nd/3rd place finishes (can we all just assume that Steve will be finishing 1st?). Season score here.